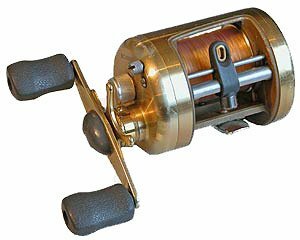 In the North Island we’d call the Shakespeare Medalist a snapper reel, while in the south it would mostly be used as an excellent salmon fishing reel. I took the BC 6600G Medalist with me on a recent trip to the Marlborough Sounds where it was put to good use as a light jigging reel for blue cod and tarakihi – work which it performed flawlessly. However I would have liked to have heard a slightly louder clicker just in case the angler nods off for a second or two while snapper fishing on a lazy summer day. The Shakespeare Medalist features an amazing six ball bearings. As you would expect from such a multi-bearing system, winding the handle was silky smooth. I managed to make quite a few casts which it also handled effortlessly and reasonably quietly – some reels of this type can be surprisingly noisy to cast, making a whizzing sound as the spool revolves. The frame is of one piece aluminum. It is highly polished and anodized a deep, gold colour. The finish is just superb. It also features level wind, soft grip knobs on the twin paddle handle, and silky smooth drag system. I particularly liked the wide freespool release button (no fumbling for a small button here). The gear ratio is 5.2:1. There is also a cleaver anti-backlash system that can be operator-adjusted by means of sliding six brake blokes on the end of the spool. To adjust the “brakes” two screws are backed-off on the handle endplate, and the spool removed. It is then a matter of trial and error as to where best to position them. The best way is to start with all six brakes on. Have a dozen or so casts, and then if necessary, slide one brake off, and repeat the process. This system works well and reduces “birdsnests” to a minimum. 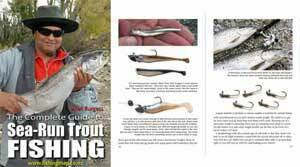 Line capacity is 160 yards of 20pound mono making the Shakespeare Medalist ideally suited as a river or gut fishing salmon reel.